Yeah you can use a spotting scope for astronomy, but a telescope is better. They are two different tools with (typically) two different goals and uses in mind. If you’re not familiar with either then here’s a very quick intro. 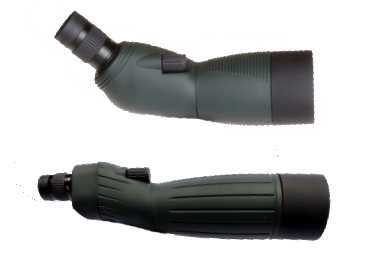 Spotting scopes are high magnification monocular (one eye) scopes that are normally tripod mounted. Eyepieces are sometimes angled and sometimes straight. Spotters are usually a class above the binocular in terms of available magnification power and a class below something like a telescope. 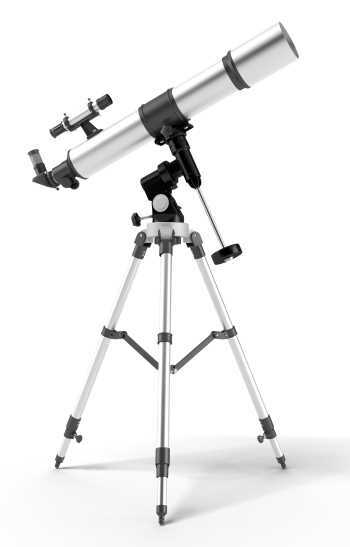 Telescopes are very powerful optics with very high magnification power and interchangeable eyepieces. They are designed for use on a tripod and generally with one eye (monocular). Telescopes are designed with larger apertures to let in more light and make low light objects like stars more visible. Telescopes come in all ranges of power 120x, 340x and you’ll see them in your optics store advertised with as much as 500x magnification power. Whilst you can get huge magnification from a relatively small telescope, at extreme magnifications small scopes will have trouble seeing through the atmosphere and collecting enough light. That’s why large super telescopes are built like the Keck. 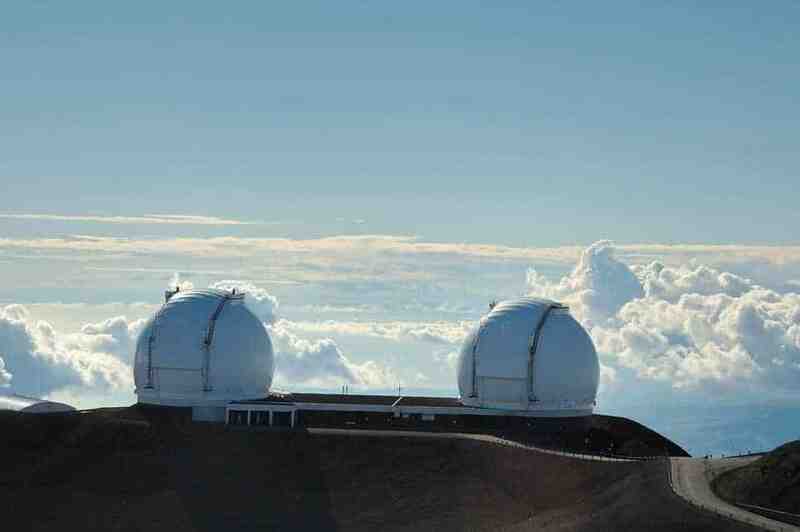 The Keck telescope is one of the most powerful in the world and has something like a 17500x magnification power. 120x magnification power means the image is 120 times the size of what you’d see with the naked eye. Pair that against the humble spotting scope where many spotting scopes top out at 60x magnification. 60x however is as usually as much as you’ll need to see objects in the day as anything more will normally be affected by ambient conditions in the atmosphere like air currents, dust particles, heat waves. All these and more can turn 60x magnification into a blur and make it very difficult to see something. You can’t beat a telescope for magnification power. The bigger the objective lens the more light a scope can take in and the clearer the picture you will see. The size of the lens is the second number after the x in the specifications for spotting scopes but telescopes usually list it within the specifications or blend it into the model name somehow. Spotters come with objective lenses in sizes ranging 45mm to 100mm but 60-80mm is common. Telescopes have bigger apertures and lenses to let in more light as they are normally used at night. Telescopes will typically have apertures from 60mm or 140mm and more. Telescopes just have bigger objective lenses, they need them to gather light. Most spotting scopes come with variable zoom allowing you to take a closer look at something without leaving the scope. Telescopes on the other hand are normally fixed, you can change the magnification, but in order to do so you usually have to change the eyepiece. The spotter is designed to have a large variable zoom range whilst the telescope usually has a fixed zoom for a particular use. Did you know that a reflector telescope will always show you an upside down image? A refractor will show you a horizontally flipped image too. These things don’t matter to the astronomer but for they aren’t going to be ideal when you’re out hunting or birding. It’s almost impossible to use a telescope without a tripod. You’ll stand some chance with a spotting scope because of the lower magnification, however both really need to be stabilised. If the base is stable i.e. a tripod, then either type of optic will give you a stable image. Spotting scopes are designed to be packed, carried and somewhat portable. Not as portable as something like binocular though. You’d probably not take your spotting scope to the opera, but you would take it on a hunting or hiking trip. Spotting scopes can also be purpose built to be very durable. Whilst you can get lightweight and portable telescopes, because focal distance and aperture size matters in a telescope, they are usually longer and bigger and not so easy to lug around. Close focus is the minimum distance away from you an object can be for an optic to be able to focus on it. You can find spotting scopes with close focus of 6 feet. Telescopes on the other hand are really designed to look at distant objects with very high power. You’ll find them unsuited to looking at anything close by. A spotter will focus on relatively close objects whilst a telescope isn’t designed for this purpose. Field of view defines the amount you can actually see through the optic. A bigger field of view means you can see more. The higher the magnification power of a lens the smaller the available field of view becomes. Generally as telescopes are higher magnification than spotting scopes they also have a smaller field of view. The eyepiece of a spotting scope can be straight or angled at 45 degrees and movable, or angled at 90 degrees which is not so common. A tripod mounted telescope rarely comes with an eyepiece that’s anything other than angled from the scope, 45 degrees or normally at 90 degress. An angled eyepiece just makes tripod use easier. Spotters are more versatile with movable, straight or angled eyepiece variants available. It’s a little like comparing apples to oranges. These are different pieces of kit entirely. You can pay top dollar and you can pay budget prices for both. Typically, you’ll find entry level spotting scopes to be more expensive than entry level telescopes. You can get your run of the mill standard spotting scopes, compact scopes. There’s wide-angle variants for taking in more of the scene. Scopes can also be fixed magnification or zoom. They can be waterproof for marine and outdoor uses and armored for when you’re using them on the move or in a tough situation. Spotting scopes also come in varieties that have interchangeable eyepieces for use with astronomy. Telescopes have an entirely different feature set. You can get different types like reflectors and refractors from small to large in size. There’s telescopes with motorized tripods to allow them to seek objects in the sky under computer control. You can find hundreds of spotting scopes on the market of different qualities, some angled and some straight and some that work well for astronomy. However whilst there are also hundreds of telescopes out there there aren’t many telescopes that you’d want to take on a hunting trip. The spotter wins on versatility, you can use a spotting scope to stargaze but you won’t find it as easy to use a telescope to hunt. 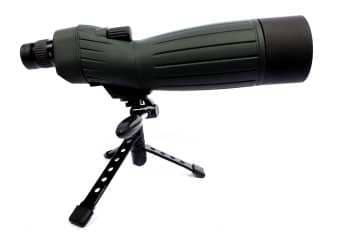 Often seen at a range a spotting scope is a good choice when setup in a fixed position on a tripod for quickly checking out how well or how badly you shot. For constant monitoring of a distant location, a spotting scope setup on a tripod can be an invaluable tool. Spotters are used by the forces and combine with long range snipers to assist with target acquisition and determining range. Similar to sniping, a hunter would use a spotting scope to find and track a long range target. Literally to ‘spot’ one before either setting up a shot or moving in closer. With the magnification available on a spotting scope you can watch a target from long enough distances that it can have no sense you are there at all. Spotting scopes are common with birdwatchers for long range birding. Whilst you’ll get more magnification out of a telescope, a 60x spotting scope mounted on a tripod is good enough for entry level astronomy and will give a good view of celestial bodies like the moon or jupiter. If you couple a camera or a smart-phone with a spotting scope you can turn it into a powerful telescopic lens. It’s what they were designed for and they do it very well. Not really much sense in using a telescope for anything else. I hope that’s helped you understand these two pieces of kit. What they are for, who uses them and why. Let me know if we’ve missed anything!